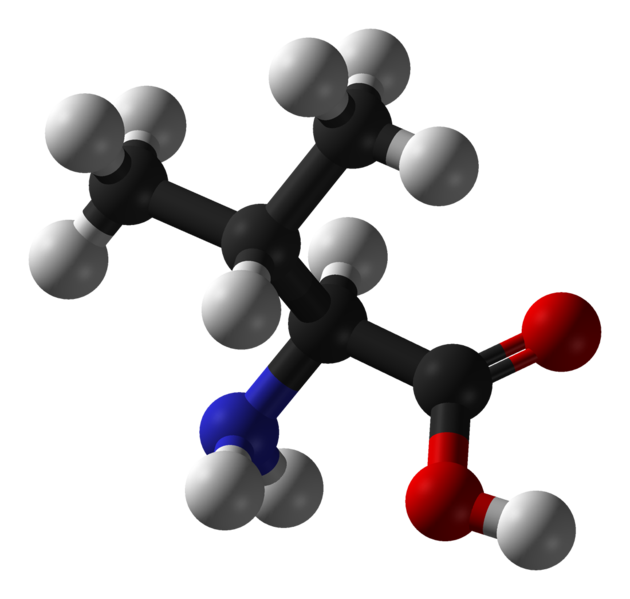 Valine (Val or V) is an amino acid present in proteins. Like all of the amino acids, valine is formed from a COOH group and an NH2group which are component links in peptide bonds. It has a symmetrical branched side chain: CH(CH3)2. It is a non-polar, hydrophobic amino acid. Valine is an essential amino acid which is not produced by the body and must therefore be obtained from the diet (white cheese, fish, poultry, seeds, lentils, etc. ).